Blanquette de Limoux is made from an identical double fermentation process to champagne however, and shares all of the benefits. Its mix of grapes - usually all white varieties - offers a clear contrast with the consequence of a softer taste profile, less apple-like and more pear and white peach. There is a faintly savoury note too, derived from the Mauzac grape. This latter is equally known as the base of the white wines of Gaillac, including its own sparkler, 'perlé'. Blanquette de Limoux is dry but because it has lower acidity than a typical champagne, a consequence of its southerly origins, it has a softer edge. 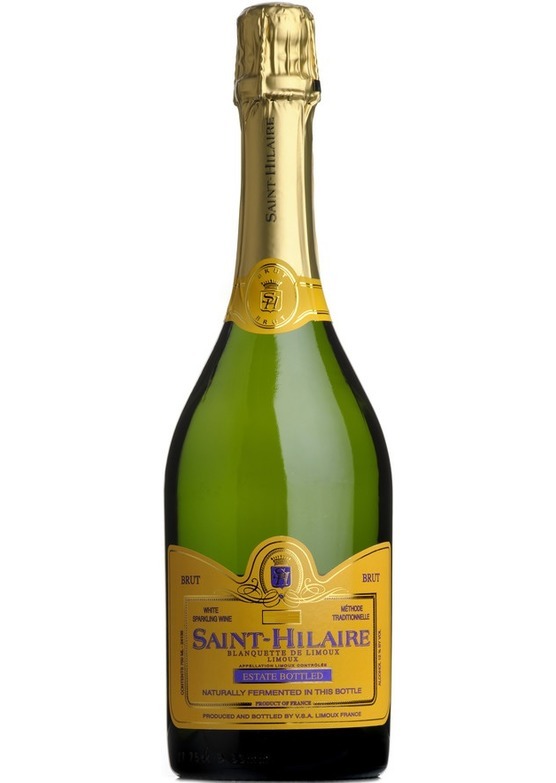 Saint-Hilaire is a vintage wine, and with its extra bottle ageing 'sur lie', represents one of the top cuvées from this producer.